Here’s what I wore to the shoot. The photographer’s studio is located at Cubao Expo and it was really really hot that day so I wanted to wear something casual and comfortable. Also, before my shoot, while I was walking around Cubao Expo, an Italian restaurant named Bellini’s caught my eye. Turns out, it’s owned by an Italian who used to be a paparazzi! 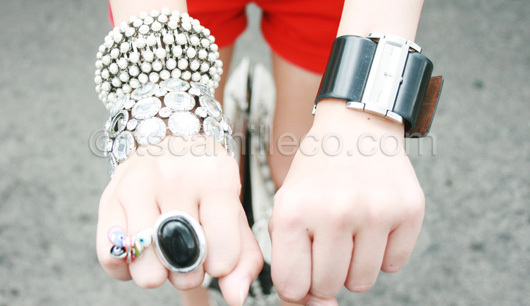 Coolio! 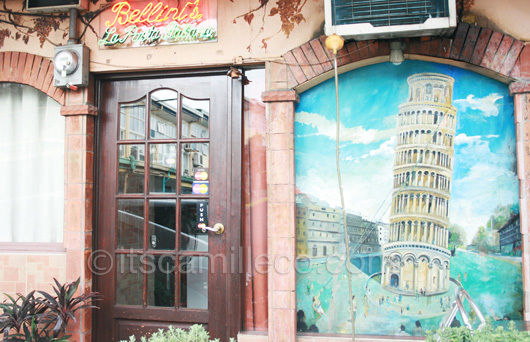 Bellini’s facade is full of paintings of famous Italian landmarks. 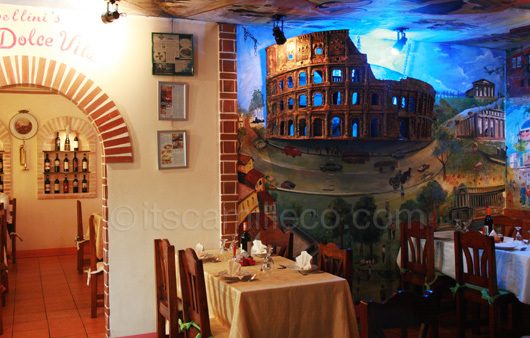 The restaurant’s interiors reminded me so much of this quaint restaurant I ate at in Venice. When the owner saw me taking photos, he lead me to this wall of photos that I later learned he personally took during his paparazzi days. He then proceeded to explain some of his most memorable stories behind these photos. 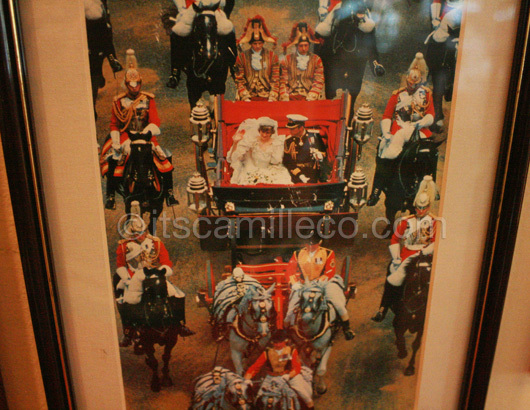 One of the photos he took: Prince Charles and Princess Diana’s wedding. It must’ve been great to witness something as historical as this. 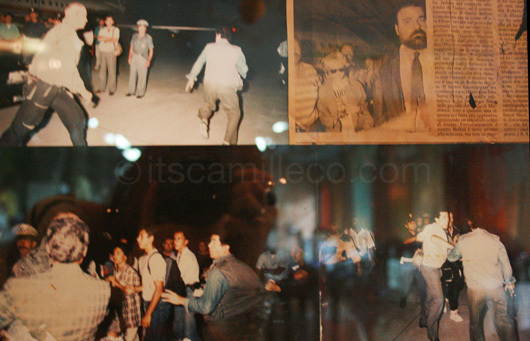 These photos were taken when he got into a fight with Madonna’s security and the police when she had a concert in Italy. Local newspapers even wrote about it! How cool is he! I’m pretty sure you’re expecting really yummy food shots. Unfortunately, I got called back to the shoot already so I wasn’t able to eat with my friend. 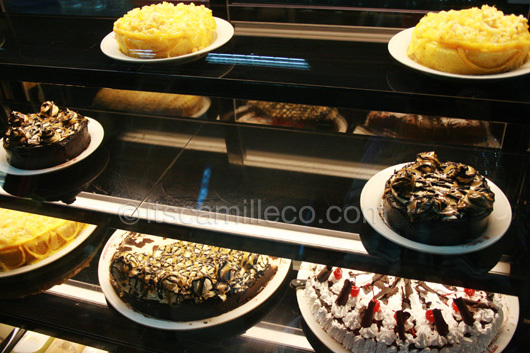 However, I was able to take photos of these yummy cakes over the counter. And if it helps, my friend said the food was really delicious and perfect for people looking for authentic Italian food. Sucky I missed out. I’m going back to Cubao Ex for sure, just to try Bellini’s out! This is the perfect outfit to wear when you are with your barkadas for an outing. Haha!